Discussion over technology in football and its implementation will always be a controversial topic of debate. 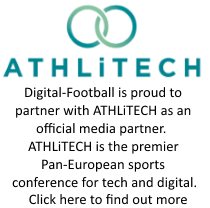 The argument of goal-line technology is one that occurs every season, from ‘The Russian Linesman’ goal in the 1966 World Cup final right up to Frank Lampard’s unseen goal in the 2010 World Cup against Germany. Some people are keen to stick to traditional methods, but plenty are ready to move football into the 21st century. As technology becomes more prevalent in sport, so does the platform of social media. Never before have fans had such access to their favourite sportsmen and women. This leads to the question, could football clubs be doing more to interact with their thousands of fans through this medium? Much has been written about how Premier League clubs are embracing social media to engage with their fans. Manchester City, quite rightly, are lauded over their use of original and innovative ways at creating content, but what about clubs in the Football League? Well, like the England team in an international tournament, they’re not really doing much. Facebook and Twitter are widely recognized as the most popular social media outlets, but not every club in the Football League has embraced them. Leeds United, the Football League club with arguably the largest worldwide fanbase, has no official Facebook or Twitter presence. In today’s ever-increasing digital world, shouldn’t all football clubs be up to speed? In terms of content and engagement, clubs in the Premier League are also in the premier league of social media. Manchester City has recently partnered with FourSquare where fans can check into the Eithad Stadium and take advantage of club offers on hospitality and merchandise, providing fans with exclusive content that they wouldn’t have received otherwise. Liverpool was the first club to have a presence on Pinterest, Instagram and Tumblr and many clubs are using Pinterest as images become increasingly popular with engaging with fans. For the club’s digital marketing department not only does it means good SEO and website traffic, but it also keeps the brand up-to-date and beyond sales led approaches. The Football League covers three leagues: the Championship, League One and League Two. Each league has twenty four teams so the amount of supporters and potential for engagement is huge. Championship clubs in particular have sizeable fanbases, with some of the clubs having previously played in the Premier League. Modern fans want to communicate with their football clubs and other supporters. They may desire more information than that offered on the official website and also wish to discuss events such as how the team performed in the last game or any new signings. Championship clubs may have Facebook and Twitter accounts, but most are using them to reiterate information that is already on the website and to plug non-match events. As a football fan myself, I want to know more about what happens within the club, insights into the training ground, behind the scenes photos and interviews with players. Most posts on Championship Facebook Pages are stories that are already on the website. Admittedly this may be to drive traffic to the website, but wouldn’t fans go there anyway? Every club has at least one football forum, many that have been set up by supporters and have thousands of fans actively discussing their club and others. This is a social media in itself, but one set up for the fans, by the fans. Older football fans are more likely to use forums, as this is what they’re traditionally used to. The lack of any platform from Championship clubs suggests they are not really doing anything to actively engage with younger fans. This is especially surprising as younger fans provide the future revenue stream for the club and are therefore more likely to influence future success. Leeds United, the club in the Championship with the highest average home and away attendance, has no official Facebook or Twitter pages. They are the only club in the Championship with neither (Millwall don’t have Facebook) and there has never been an explanation as to why. At one point Leeds players were banned from using their personal Twitter accounts. In marketing terms Leeds are still quite a big brand, they have fans all around the world, but there is no way for fans to engage with the club itself online, it is all one way communication from the club via its website and weekly emails. This has led to many supporters feeling disenchanted with the club, and ‘out of touch’. Admittedly, Leeds employees have Twitter accounts, the Press Officer Paul Dews being the most notable. However, this is his personal account and although he does post Leeds news and he does respond to fans, his bio has the standard line of ‘Views are my own and not those of my employer’, so it’s not an official Leeds United account. As time goes by and the digital world gets even bigger, perhaps Leeds will step up and provide fans with even the basic levels of fan engagement. The Football League, along with their sponsorship partner, npower, recently ran a digital campaign on a Facebook App to engage followers whilst also giving them a chance to win money for their Football League club. The ‘FanPower stadium’ allowed fans to be able to win up to £30,000 for their club just by talking about them. All they had to do was register on the Facebook App and ‘take a seat’ in their clubs virtual stadium. The first club in each league to fill their stadium was the club that would win the money. There was also another way of winning money by being the ‘noisiest’ club. This was measured by fans talking about their club (and the Football League and sponsors npower) on Facebook and Twitter. This was a brilliant example of fan engagement and gave a measure of how fans interact through social media with their clubs. The Fanpower Stadium competition has shown that there is a desire for clubs to reach out to their fans over these growing social media platforms. Various clubs have shown initiative with creative online campaigns, but the online presence needs to be sustained if the supporters are to feel truly valued. As these clubs strive to reach the Premier League, perhaps a significant step would be to bring their social media interaction with fans up to a premier league standard. 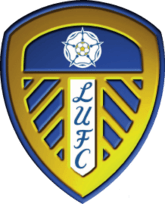 This guest blog post was written by Jenny Hogg – a keen Leeds United fan and a social media professional working as a Digital Marketing Officer. Thanks Jenny for this excellent look at the Football League and we look forward to seeing more posts from her in the future. Good guest blog and completely agree with the above. In my experience, the advantage that sponsors of the Football League have over Premier League sponsors is that access to the players is far easier to come by. Consequently, giving fans what they want “what happens within the club, insights into the training ground, behind the scenes photos and interviews with players” is far easier. We ran a campaign with (then) Championship sponsor Texaco which went down really well with fans and got some real pick-up on official and blog sites alike. We aimed to deliver genuine added value without pushing a sales message and we loved managing the campaign. Thanks Jimmy for the comment – looks like a great campaign and you are completely spot on – sponsors should be doing a lot more to utilise players and clubs in order to boost their profile and that of players/teams. Glad you agree – it’s all about good content and giving fans the access they want.